Samsung wants to design a phone that "defines our time"
When Reuters took some time to speak with Lee Minhyouk, Samsung Mobile’s vice president for design, it brought back some bad memories by reliving the company's response to the 2007 launch of the Apple iPhone. One model that was a major fail was the Samsung Omnia. Reuters mentioned how customers destroyed the model in public, burning it on the street. 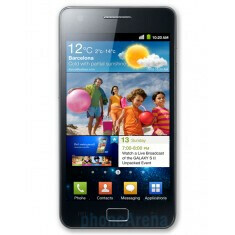 The Samsung Omnia suffered from dropped calls, auto rebooting, frozen screens and more. 27 year old Kim Sang-uk bought the Omnia just before starting his first job and said it was the kind of phone that you would turn down even if it was offered to you for free. 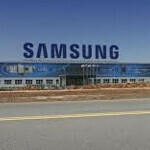 It was the worst of times for Samsung as Apple was hitting the Korean based firm's mobile division hard. Telecom profits of 1 Trillion Won ($885 million USD) in the first quarter of 2010 were sliced in half the next quarter. It was at this time that Minhyouk and his team started to finalize work on the Samsung Galaxy S. Since its launch June 2010, Samsung has sold 44 million units of the series helping Samsung pass Apple as the top smartphone manufacturer in the world. And while the Samsung Omnia and previous models didn't exactly set the world on fire, Minhyouk admits that without those models having been put through the paces, there would never have been the Galaxy line. Part of Samsung's advantage is that they can produce the parts needed to manufacture a phone in-house. That is unlike Apple which counts on vendors, including Samsung, to make things like the display, processor or battery that goes inside the phone. And while Samsung spent $9 billion on R&D last year, it ranked number 11 on Bloomberg BusinessWeek's survey of the 50 most innovative companies. Fellow countryman LG finished 7th with Sony coming in 10th. While Samsung and Apple have been taking each other to court with each saying the other is stealing its designs, Lee bristles at that thought. "As a designer, there's an issue of dignity. (The Galaxy) is original from the beginning, and I'm the one who made it. It's a totally different product with a different design language and different technology infused." Handsets are Samsung's biggest area of growth, bringing in 8.3 trillion won ($7.4 billion USD) in operating profit last year. With the success of the Galaxy line, especially the Samsung Galaxy S II, the designers working under Lee Minhyouk have a new found confidence. The world is waiting to see the Samsung Galaxy S III and as the days go on, the speculation keeps growing until everyone starts expecting unrealistic specs. "I'm confident that one day Samsung will make a product that defines our time," says Minhyouk, "and I hope it's one of mine." Nah just first to comment. no its not ithings. its ish*t for ish**p.
You clearly have no understanding of plastics. Just because its plastic doesn't mean its cheap. Some plastics cost more then glass or metal and are stronger then both. This is why the iPhone smashes when dropped its hard and ridged there is little to no give in its design where as some plastics (not all) are harder stronger yet have a little flex and give in them so the energy from. impact is directed around the phone not directly into it. They are using design to make their phones but unlike Apple they don't choose design over function. IMO the samsung galaxy nexus was one of the best designed of 2011. Lets be honest, there is only so much design work you can do when you want to make the worlds most powerful, thinnest and lightest smartphone going. I dunno, I think the Lumia series and the N9 made everything else look like last year's leftovers, excepting perhaps the new Sony stuff off the top of my head. Motorola Droid Razr looks better than the Galaxy line, feels better too. Nothing against Samsung, mind you, just that they're starting to be the Corvette of the phone industry. Plastic, looks mostly the same as its predecessors with some bigger design features and more power "under the hood"
I completely agree with this statement even though I only read the first line. The Lumia series is absolutely stunning. If I could get Samsung quality phones in a Lumia package, my life would be good. one thing that samsung lacks is the premium and original looks on their devices. They should hire some Sony or Nokia designers and make an excellent all rounder device. you mean the magical inothing which has not changed since 2007 ? Please, Apple claims to be so "innovative" when it comes to design but the look of most of what Jonathan Ive has "designed" was copied from Dieter Rams. Google his name and you will see how much of a blatant rip-off it is..Sorry, try again. Before you go around saying so things like that you might want to check your facts. Samsung displayed a prototype of the F800 months before Apple ever showed off their so called innovation. The F800 is a rectangle design with a touch screen taking up most of the real estate on the front of the phone with a button in the middle of the bottom. If you also look at the OS outlay it has a grid of icons similar to what i OS ended up looking like.